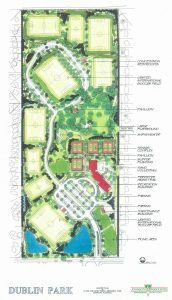 J&A provided Master Planning and Civil/Site Design services for this 60 acre recreation and sports complex which included soccer fields, tennis courts, picnic facilities, playground, a 40,000 sf recreation center with indoor pool, and an outdoor pool. Other design elements included drainage systems, detention/retention ponds, parking facilities, walking paths, access roads, and utility extensions. 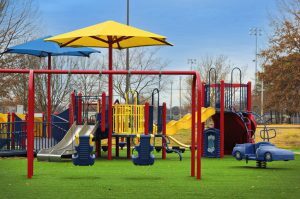 J&A donated land surveying and site design services for this handicap-accessible playground, Huntsville’s first universal playground for all ages and abilities. The entire playground is covered with soft surfaces to cushion falls and prevent slips. Each piece of equipment in the park is accessible to the disabled whether in a wheelchair, crutches, or a walker. This project was sponsored jointly by the local Kiwanis and Optimist Clubs, and the City of Huntsville. This multi-use bicycle/pedestrian Greenway project was funded through a Transportation Enhancement (TE) grant administered by ALDOT. J&A provided the topographic and boundary surveying, project layout and design, environmental studies, and construction documents. 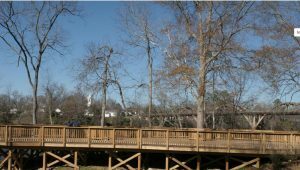 The project consisted of a combination of elevated boardwalks through wetlands areas, and at-grade paved paths 12 feet wide meandering along the Swan Creek. The Greenway connected Athens High school to the City’s recreation complex. Funded through a Transportation Enhancement (TE) Grant through ALDOT, J&A performed surveying, engineering design, and preparation of plans and bidding documents for a new 5-foot wide sidewalk located in the State Right-of-Way of US 231 in Wetumpka. J&A also prepared documents for ALDOT to prepare the required environmental and historical clearances. The project required avoidance of numerous utilities, tie-ins to existing driveways and roadways, and an 450-foot elevated timber bridge to span a low area.